← Beat the Heat – Ice Cream at Turkish Delights in Downtown Raleigh! 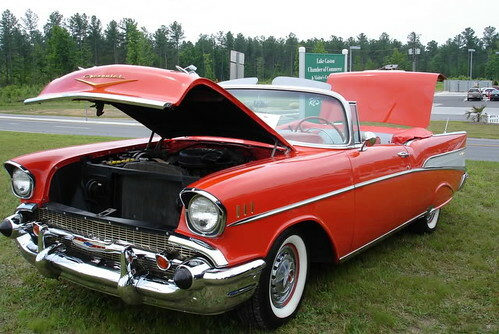 The Carolina Classic Car Show is coming to the Downtown Raleigh Convenition Center August 20th through the 22nd . During the event up to 800 classic cars and trucks will be parked on Fayetteville Street, with an additional 80 show cars and up to 100 vendors on display in the Raleigh Convention Center. Admission to the Convention Center will be $10.00. There is no charge to view the vehicles parked outside. For more information check out the events official website here. I liked the group that hosted the car show, but they have a ways to go in areas of safety,and judging. it was hard for me to believe a car with 20 defects could place in the top 50. i would love to help them with the judging issues. it was like it didnt matter how nice a car was it was who you knew. That’s interesting Bill. I wasn’t able to make the show this year, but I will keep that in mind next year!